Policymakers, program practitioners, and investors who want to achieve the greatest possible benefits from the resilience projects that they support lack effective tools to estimate the net benefits of those projects. Existing approaches often do not provide a sufficient framework for estimating the benefits that might accrue from a project aimed at increasing resilience, especially if a shock or stress does not occur. The RAND Corporation and the Rockefeller Foundation formed a partnership to develop a modeling framework that can be used to estimate the net benefits of a resilience project. We call the framework the Resilience Dividend Valuation Model (RDVM). We use the term resilience dividend to describe the net benefits associated with the absorption of shocks and stressors, the recovery path following a shock, and any co-benefits that accrue from a project, even in the absence of a shock. For any given project, the estimated dividend may be positive or negative. This report describes how we developed the RDVM and offers a set of case studies to demonstrate how it can be applied across diverse settings. 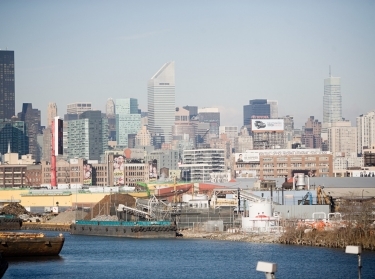 The RDVM is designed to provide a systematic, "structural" framework for assessing resilience interventions that ultimately create benefits and costs within a system, such as a community or city. While the model is not designed to be a one-size-fits-all tool, it does provide a way to systematically account for the returns to resilience investments across a range of contexts. This research was conducted by the Infrastructure Resilience and Environmental Policy of RAND Justice, Infrastructure, and Environment. 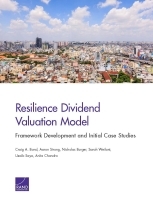 Bond, Craig A., Aaron Strong, Nicholas Burger, Sarah Weilant, Uzaib Saya, and Anita Chandra, Resilience Dividend Valuation Model: Framework Development and Initial Case Studies. Santa Monica, CA: RAND Corporation, 2017. https://www.rand.org/pubs/research_reports/RR2129.html. Also available in print form.